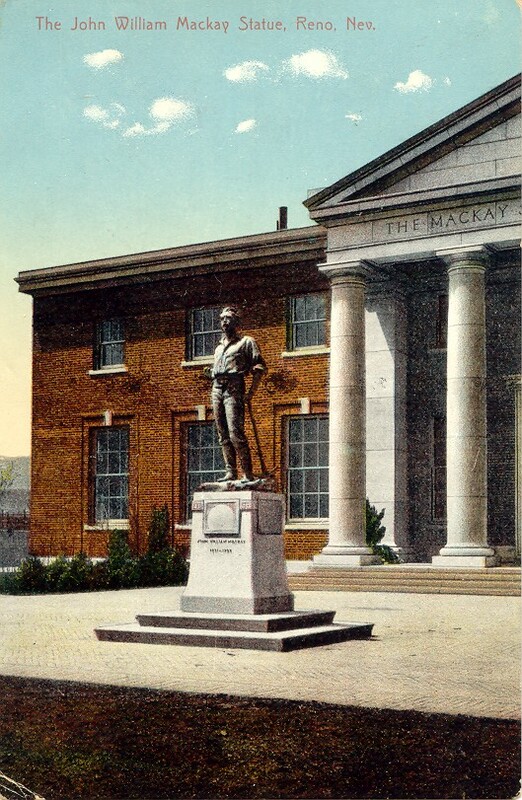 This statue was dedicated in 1908 by Clarence H. Mackay and his mother, Marie Louise Mackay, in memory of father and husband, John W. Mackay. The statue stands in front of the Mackay School of Mines at the University of Nevada, Reno. It was said that John Mackay never lost interest in working with his hands and maintained great rapport because of this, with his mine workers throughout the years he operated silver mines in Virginia City, Nevada on the Comstock Lode. This handsome statue was made by Gutzon Borglum who later became famous for his grand sculpture of the four Presidents of the United States at Mount Rushmore, South Dakota.